Sea, Sand & Sky: Free Marine Mammal Safaris During April Vacation Week! Free Marine Mammal Safaris During April Vacation Week! 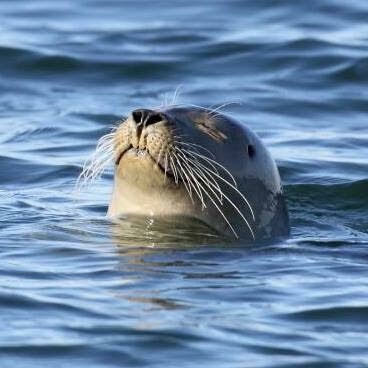 On Saturday April 21, 2018, Save the Harbor/Save the Bay and Massachusetts Bay Lines will host 3 free Marine Mammal Safaris to search for seals and porpoises and share songs and stories of Boston Harbor and the sea. These free trips are open to the public. We welcome school and community groups, youth organizations, friends, families, and children over the age of 5 under the supervision of a parent or guardian. The 3rd trip boards at 1:45pm, departs at 2:00pm, and returns by 3:30pm. Please note that we have plenty of space on our first cruise, departing at 9:30 AM, and are currently waitlisting for the 2nd and 3rd cruises. These cruises are free but space is limited, so reservations are required. To reserve your spot please fill out this RSVP form. We suggest you wear warm clothing, and bring a camera or binoculars. Snacks and beverages may be purchased aboard the boat, but you are also welcome to bring your own brown bag lunch.